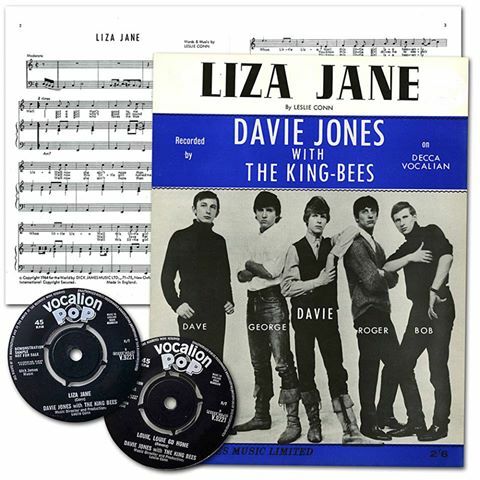 As the story goes, David had to find another stage name when the Monkees (featuring the other guy named Davy Jones) emerged in 1966. He chose the name of Bowie, inspired by 19th-century American frontiersman Jim Bowie and his namesake knife. Thus “David Bowie” was born! 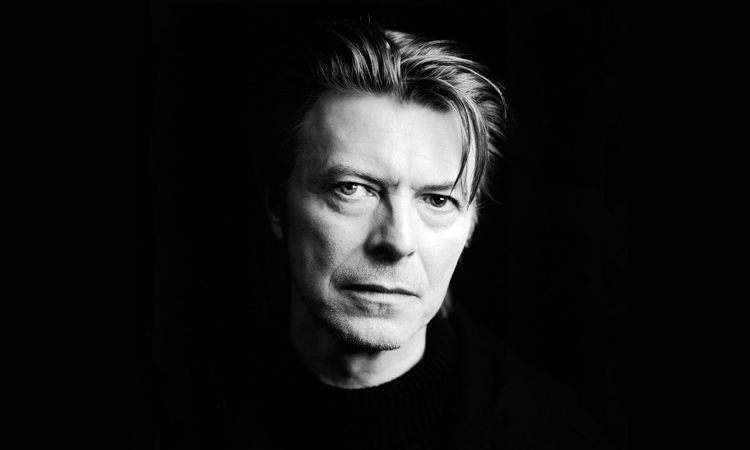 Today, the world mourns the loss of David Bowie / David Robert Jones, who died of cancer, two days after his 69th birthday. He was an incredibly talented musician – a chameleon who refined the art of changing one’s persona with each musical release. He defied labels – playing in the truest sense with the facets of music, fashion and sexuality. My David Bowie is not dead. Nor ever can be. What he gave to me is forever mine because he formed me. I have absolute clarity about that, I need no lamentations from politicians or TV presenters with their dim memories of his “hits”. I need no ranking of whether he was up there with Dylan or Lennon because I just know that is a dumb question. I simply know. He was my lodestar: in the years when I was trying to become myself, he showed me the endless possibilities. He extended out into the new spaces, metaphorically and physically. That man could move. David was the most amazing singer I’ve worked with; 95 percent of the vocals on the four albums I did with him as producer, they were first takes. I’d get a level at the beginning and we’d just go from beginning to end and that was it. No Auto-Tune, no punching in, nothing. Just complete takes. I never met the man, but I witnessed at least three of his concerts. 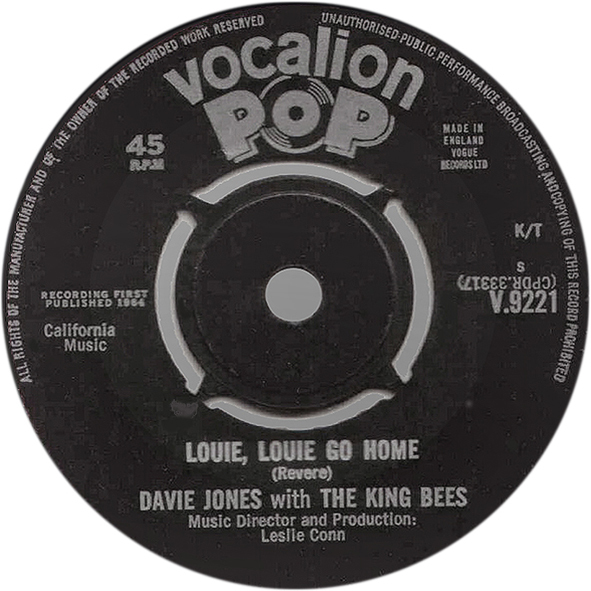 When I attended the US Festival in 1983, I was working with KFJC Radio (home of the Maximum LOUIE LOUIE event of the same year), which allowed me media access to mingle with a lot of interesting people backstage. One of the people I ran into at this event was author Ray Bradbury. I asked how he wound up at this event. Ray told me that David Bowie and Steve Wozniak (Apple founder/ sponsor of US Festival) were big fans of his science fiction writings, and they made sure Ray was a honored guest at this very special festival. 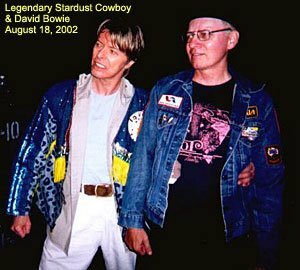 David Bowie also did a righteous thing by acknowledging my friend Norm Odam, aka the Legendary Stardust Cowboy (“Ledge”) as an inspiration for his Ziggy Stardust persona, inviting the Ledge to be a performer at his Meltdown Festival, and also recording a song written by the Ledge! .. and they did meet in 2002. He always did what he wanted to do. And he wanted to do it his way and he wanted to do it the best way. His death was no different from his life – a work of Art. He made Blackstar for us, his parting gift. I knew for a year this was the way it would be. I wasn’t, however, prepared for it. He was an extraordinary man, full of love and life. He will always be with us. For now, it is appropriate to cry.